Perhaps you ask why is this important? Why should I look into the chaos we “the one humanity” have created and are too dumb and lazy and perhaps afraid of seeing? It is important for us, the next generations and the earth though. We have a brilliant oportunity now to dig deep, first in ourselves. Progress on the spiritual path, all the answers and solutions lay inside you. Then parallel we turn outside and search what is wrong, what is fraud and corruptions and link it to our own behaviour and patterns (inside). When many do this, be aware that Indigos and the new generations are system busters and puzzle solutions seekers, we can change this thing called “life on earth” together. So do your own research, do not follow anyone, take the impulses and infos, discern and research on your own. You ask and the answers come rapidly, that´s the rule of nature. here a tiny first part of the timeline site, so you can feel if you are ready to dig in! HTML Tampere, A. (Oct. 14, 2013). Michael McKibben: Facebook is built on technology stolen from us. Estonia Today(EstiPäevaleht). Please be patient! If this is your first time to access this timeline or it has been updated since your last visit, it contains many graphics and photos that must load to your browser. Once downloaded the first time (into your Internet browser’s temporary cache files), the site will load more quickly after that. New evidence is added almost daily. Fig. 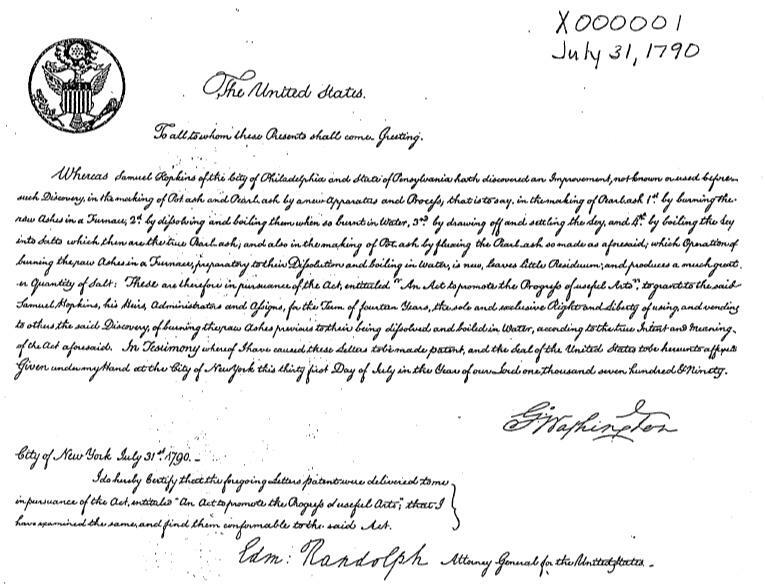 1—President George Washington awarded the first U.S. patent on July 31, 1790 to Samuel Hopkins. The American economic engine is being dismantled by deep-pocket intellectual property thieves. They have made the U.S. Patent Office their private toy box. Why patent protection is essential to America. Fig. 2—The first patent, U.S. Patent No. X0000001, July 31, 1790, was awarded to Samuel Hopkins for a process for making potash, an ingredient in fertilizer. Signed by President George Washington. Patents and copyrights are the only property rights actually written into the U.S. Constitution, Article I, Section 8, Clause 8. Over 7 million patents have been awarded since 1790. Constitutional quiz: What are the -only property rights that the Founders considered important enough to actually write into the Constitution? Answer: patents and copyrights. (U.S. Constitution, Article I, Section 8, Clause 8.) 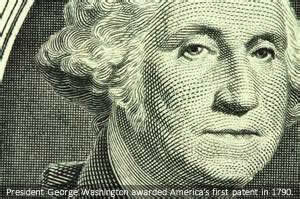 President George Washington himself signed the first patent, U.S. Patent No. X0000001, on July 31, 1790. The Founders knew the importance of innovation and invention and created the patent system to protect the young republic’s inventors. They believed patents would grow the economy with new ideas that create new jobs and wealth. But without patent protection, inventors and their investors have no incentive to risk their time and treasure to do the hard work of inventing. Fig. 3—This profound idea by Leader Technologies made large-scale Internet collaboration possible. Figure 1, U.S. Patent No. 7,139,761, McKibben et al, Nov. 21, 2006, Dynamic Association of Electronically Stored Information with Iterative Workflow Change—the platform that is social networking. 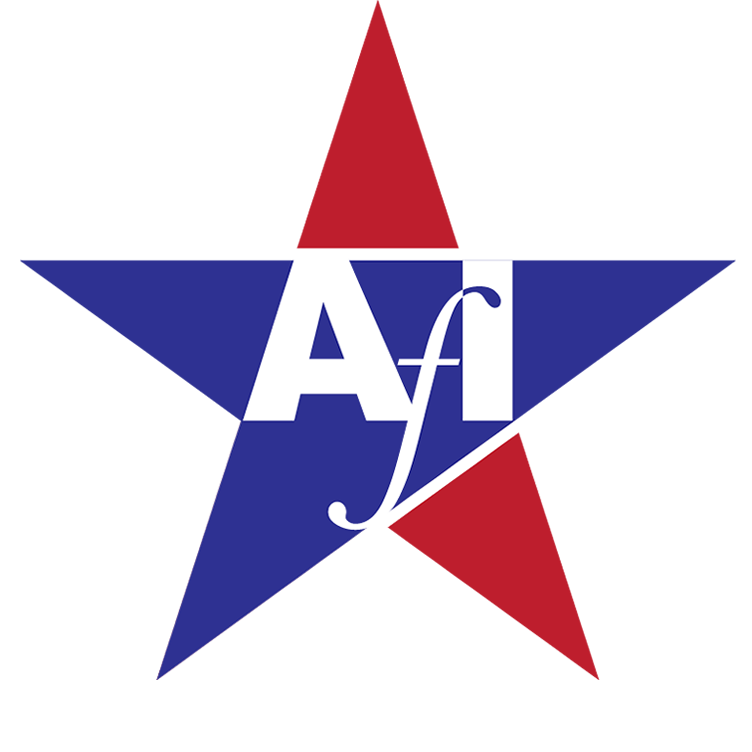 The American public must protect the inventors from the deep-pocket predators who have stolen this invention and use their ill-gotten gain to buy off judges, public officials and the mainstream media. No inventor is safe if they are allowed to succeed. Leader Technologies of Columbus, Ohio, risked 145,000 man-hoursover five years with an investment of over $10 million to invent the platform that enables social networking. Leader legally filed for patents that they believed would protect their invention. But a pattern of public-private corruption—as shown in the following timeline—allowed the well-financed vendor of social networking to steal Leader’s invention, reproduce the design, and then use their ill-gotten gains to perpetuate their crime. They excused their theft by falsely asserting that the technology system was “open source” (i.e., “free”) software. What inventor wants to spend years perfecting and patenting an invention that may then be stolen with impunity? What investor will trust his investment to a government that will not protect the entrepreneurial risk? When inventors are not rewarded for their inventions, society suffers. China, once known for inventions like paper and fireworks, is now notorious for industrial espionage and intellectual property theft and for copying rather than innovating. Do we want to risk becoming another China? To foster the inventive spirit that made America the world’s innovator, we must protect and reward our inventors, and address the corruption that has allowed companies like Leader Technologies, the true inventors of social networking, to be fleeced by the system that was supposed to protect them. Jul. 18, 2012 28 Zuckerberg hard drives re-discovered! The summary above is not exhaustive, but merely representative of the massive fraud and racketeering that has occurred and continues to occur. Listen to Michael McKibben tell our Thomas Paine what it took him to invent the technology that made social media the amazing tool it is today. Then find another channel and listen to Mark Zuckerberg’s explanation of how he did it. Use some critical thought and decide for yourself who was the real inventor. Douglas Gabriel interviews Michael McKibben in PART 1 of SIX interviews. One of the largest government sponsored industrial espionage thefts of copyrights, trade secrets, and patents in modern times was the theft of scalable social networking inventions. The technology and programming code that underlie Facebook, Gmail, YouTube, Twitter, Instagram and most the other large-scale social networking companies runs on Leader Technologies’ intellectual property. It was stolen by a group of criminal lawyers, judges, spies and bankers working with complete impunity and in total disregard for the law. Under the guise of the IBM Eclipse Foundation, James P. Chandler III (who was a national security advisor and top White House attorney) led the group of criminals who, interestingly enough, are also appearing in the news currently due to their most recently discovered crimes, along with John Podesta, Robert Mueller, Rod Rosenstein, John Breyer, James Breyer, Larry Summers, Yuri Milner, Alisher Usmanov, Mark Zuckerberg, Sheryl Sandberg, Bill and Hillary Clinton, and a host of others who are not so well known. Time to start learning about the truth and the stories of our beloved social media, which was such an amazing idea from the beginning and now slowly is strongly used against the freedom of humantiy. Want to learn more? You want a free social media to share all you wish with friends, family, partners? We need people that start learning the real stories so we are enough to energeticly turn the tides. This is a first video with Michael McKidden of Leader Technologies who is the real inventor so social media could “happen”. Instead of giving him his patents they were stolen. Many know about the backdoors they put in to spy on everyone, but the realizing of the true story behind it all, is someting else. It wakes u up with a big boom!!! Patent theft is accomplished through the Patent Trial and Appeals Board and the many laws that allow the US Patent and Trademark Office to confiscate and control any patent deemed a national security issue. Once confiscated, the inventor is not compensated for the out-right theft of the patent. Stiff penalties, including incarceration, accompany these seemingly “illegal” patent laws that can steal any patent that the military (Department of Defense) or cyber-intelligence (all 17 agencies) considers a patent that could be turned into a weapon. Once stolen, the government uses a complex group of public, and secret, defense agencies, corporate contractors, and crooked bankers to fund the weaponization of trade secrets, patents, copyrights and other forms of intellectual property. Usually, the government builds in a “back-door” to the technology–so that they can control and manipulate the weaponized property. Then, they fund a “front-man” as a stooge to run a private corporation that is built on the weaponized invention.